Spoil yourself with the lusciousness of plush, buttery soft bed linens from Butterfly Dreams while showing your respect for the environment and help Cambodian kids. Luxurious, sensuous, soft and luscious…. These are just some of the words that describe Butterfly Dreams, a collection of superior quality bed linens made from revolutionary microfiber material that took two years of research and numerous field tests to perfect. 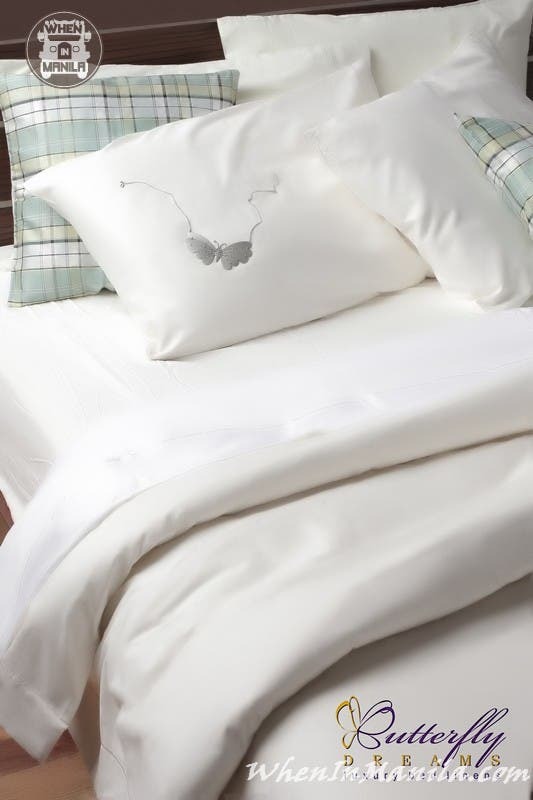 Butterfly Dreams is the realization of Tim and Edith McCosker’s dream of revolutionizing people’s concept of the ideal bed linen. In line with Tim and Edith’s philosophy of providing luxury that literally doesn’t cost the earth, their goal was to produce the perfect fabric that is not only produced with minimal environmental impact but is also low maintenance, easy-on-the-pocket, stands the test of time and desirable at the highest level. Tim, who was raised on an Australian Merino sheep farm, and Edith, a Filipino interior decorator, worked together and came up with this new microfiber fabric that surpassed all their criteria. The Butterfly Dreams collection of flat and fitted sheets, pillowcases, duvet covers, bed skirts and cushions for beds, from single to king-size, are available in various soft shades. Duvet covers come with satin stitch embroidered accent. They have a buttery-soft feel and are light and breathable. The material is so exquisite that it promises to lull you to sleep and make you never want to get out of bed again. Washing and drying them are easy too as they can be washed like your regular sheets but dries faster. They are likewise highly-resistant to creases, which eliminates the need for ironing. What’s more is that they are beautifully wrapped in reusable eco-bags, making them the perfect choice for gift-giving. Butterfly Dreams is also a luxury with a cause. You can feel great pampering yourself with these exquisite bed linens and at the same time help schoolchildren at Savong’s School & Savong’s Orphanage, in Siem Reap, Cambodia. Tim and Edith first met them on a trip in 2006 and discovered that the schoolchildren share only three classrooms and are in dire need of other school materials. The couple felt compelled to help and has since dedicated significant portion of their profits to empower them. 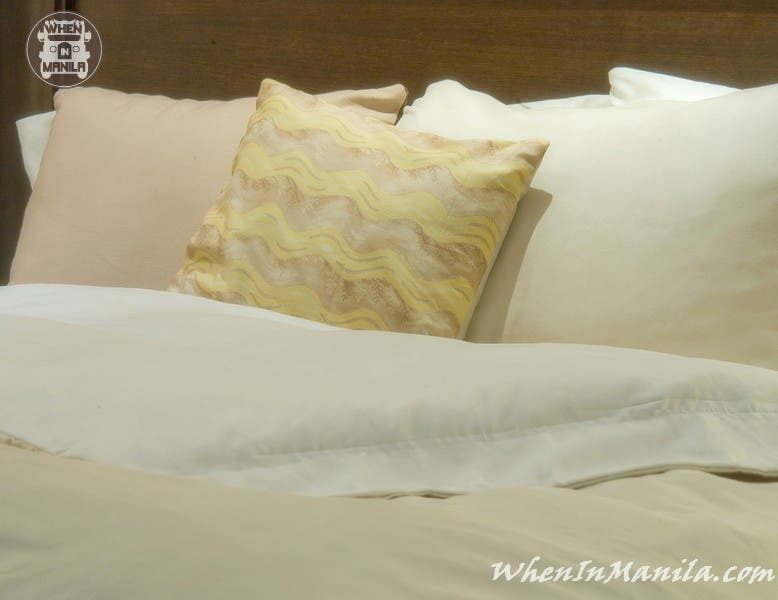 Where Can I Find Butterfly Dreams Bed Linen? Online from www.butterflydreams.com.hk Free delivery to a Philippine address. In Manila, at select Make Room branches in Bonifacio High Street (Bonifacio Global City), Rockwell Powerplant, and Alabang Town Center.